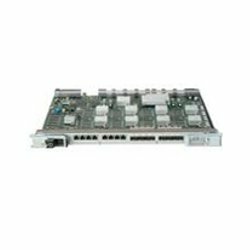 Product Description: Brocade 32-Port 8Gbps fibre channel Port Blade for Brocade DCX series storage area network Backbones; the BR-DCX-2102 features 32 ports with 8Gbps short wavelength small form-factor pluggable optical transceivers for a total of 256Gbps local switching bandwidth. are designed for the Brocade DCX Backbone which offers upto 384 ports in a 14U form factor. The typical consumer for these are large data centers and environments building out for the next 10+ years. Maximum Midrange's network specialists can help you with replacement parts or building out an entire system.